Liga Mexicana Club America and Danish Club Aalborg BK joins the 2013 Gordon Jago Super Group | Dallas Cup, Inc.
DALLAS, Texas – We are pleased to announce the Danish Superliga Club, Aalborg BK participation in the 2013 Dr Pepper Dallas Cup. Aalborg BK marks the return of a 12 year absence of a club from Denmark to the Dallas Cup. Aalborg BK U19 team will compete in the Gordon Jago Super Group and a second team in the U17 age group. Dr Pepper Dallas Cup XXXIV and Nike Inc. are pleased to announce Club América has also accepted the invitation to participate in the 2013 Gordon Jago Super Group. Club América is one of the most successful clubs in Mexico with 14 league Championships. The Club América Sub-20 squad has won the last 3 league titles. After a 13 year absence from the Dallas Cup, Club América Sub-20 Squad joins Fulham FC (England), Fluminense (Brazil); Coritiba FC (Brazil), Eintracht Frankfurt (Germany); Aalborg BK (Denmark) and Tigres UANL (Mexico) in the Gordon Jago Super Group with more announcements to come. 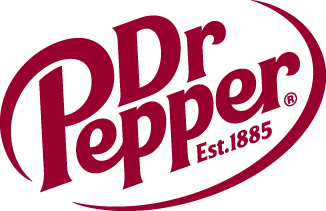 If interested in sponsorship opportunities with “Dr Pepper Dallas Cup XXXIV” or the “Dallas Is Diversity Program” please contact Frances Ortiz-Solares at the Dallas Cup office via phone at 214.221.3636 or via email frances@dallascup.com .